From your opening remarks to your closing statements GoSpeak! ensures that your message is heard with clarity and power. GoSpeak! delivers the quality voice amplification to reach audiences of up to 200 people, in an astonishingly thin and light design that folds up and is easy to carry with you. 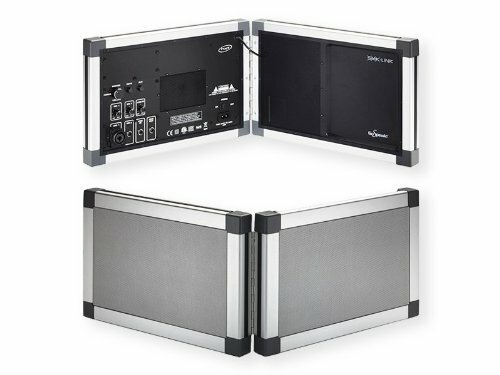 Breakthrough flat panel Surface Sound speaker technology from NXT makes clear and rich omni-directional stereo sound possible in such a small package. Add sound effects and music to your presentation by connecting your computer or other auxiliary audio system. If you have any questions about this product by SMK-Link, contact us by completing and submitting the form below. If you are looking for a specif part number, please include it with your message.